You are going to Watch Naruto Shippuden Episode 269 English subbed online free episodes with HQ / high quality. Stream Anime Naruto Shippuden Episode 269 Online English sub Forbidden Words. 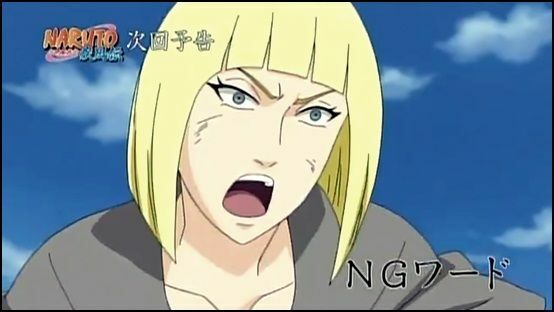 The Raikage talks to Tsunade about the brothers, and tells her how they were two of the most feared criminals in the Hidden Cloud and how they left the Second Hokage on the verge of death. He tells her that Kinkaku and Ginkaku use the weapons used by Sage of the Six Paths and that they are filled with the Nine-Tailed Fox’s chakra. Meanwhile on the coastline, Samui and the Atsui come to Darui to help him fight the brothers. Kinkaku and Ginkaku use their ninja tools: the Kokinjo (which draws the spirit word out), the Shichiseiken (which curses the spirit word), the Benihisago (which records the spirit word and seals the speaker within), and the Bashosen (which conjures chakra of all 5 natures). They succeed in capturing and sealing Atsui and Samui within the Benihisago. Darui then is almost drawn into the Benihisago, but before he is his spirit word changes. Then he takes the ninja tools from them and uses the tools to trap Ginkaku inside the Benihisago. Kinkaku gets angry and releases his Nine-Tails chakra, draping him in a chakra shroud just like Naruto’s.